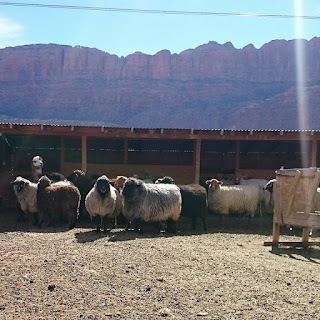 At spring break I visited Moab, Utah and the wonderful yarn store Desert Thread there (see last week's blog post for my yarn store review). I had a good squish of the yarn from locally raised sheep, as you do. I fell in love with the natural colors (so, so beautiful) and even though the yarn is not soft I decided a holiday shopping splurge was appropriate and to make an outwear garment of some kind. I selected a gray brown almost purple sage DK weight Tunis blend which Cathy, the sweet owner, told me was the farmer's "proud" yarn. The next afternoon we went hunting for the sheep that my yarn came from and were lucky to find the farmer at home at Cunnington Farms. She gave us a lengthy impromptu tour of all 55 (!!) of her sheep, telling us she likes to proselytize. 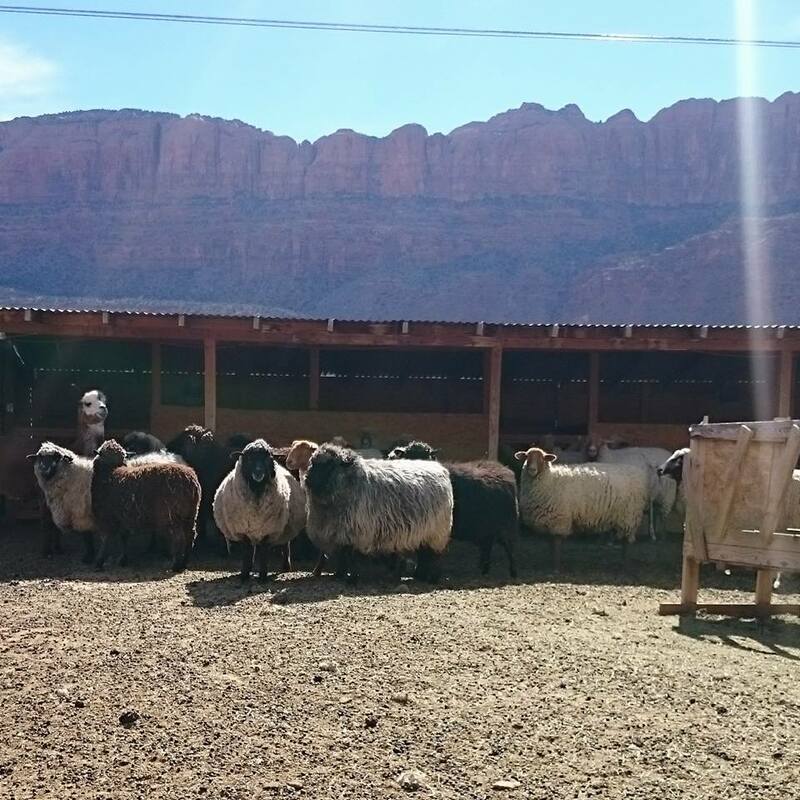 Apparently you need a lot of land to graze sheep, more than she had, so her well-mannered gentlemen were kept in pens and her lovely ladies in pasture with an alpaca and a rare guanaco on guard against packs of dogs, coyotes and the occasional mountain lion. She was incredibly knowledge and I did a poor job of trying to take down all the information and photos on my phone until I got an error message that my device was overheating. Next time I'll arrive prepared with notepad and pencil! Tunis are "red-heads" with red-gold faces and legs and ivory-colored fleece, matching the red rock of the Utah scenery perfectly. 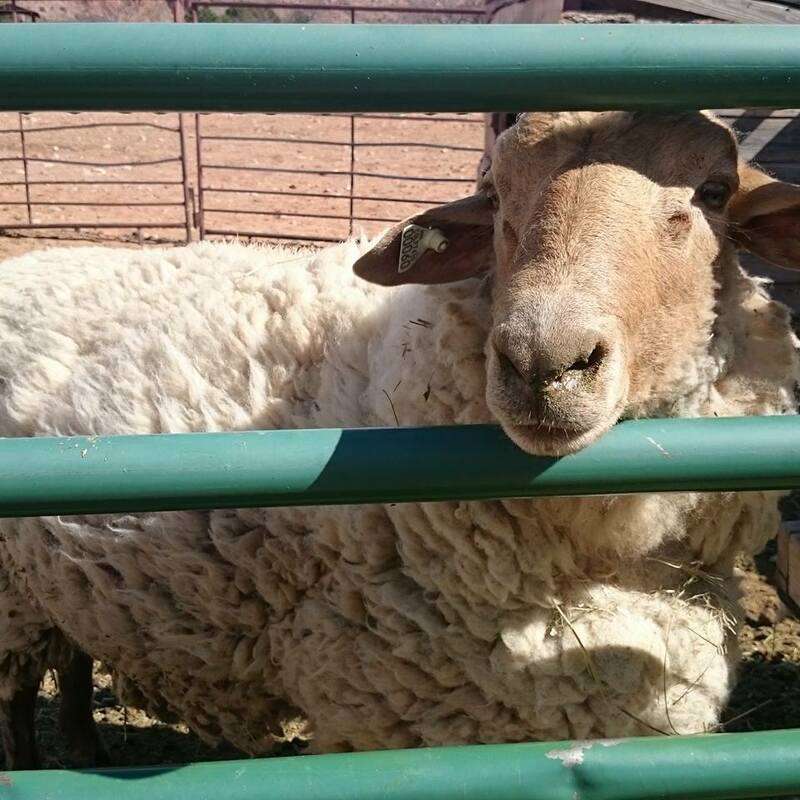 A pair of Tunis sheep were imported to the US in the late 1700s from Tunisia as a gift to George Washington from the Bey of Tunis. By the late 18th / early 19th century a recognizable breed emerged and lived in six southern states. The breed were almost entirely wiped out during the Civil War. The sheep pictured here descend from the survivors, a single flock in South Carolina. They are currently on the Livestock Conservancy watch list. We visited five days from shearing day so the sheep are all wonderfully shaggy. Below is a mixed group of ladies with the Tunis on the right with the smaller red head. And you can see the vigilant alpaca on the left. Cunnington Farms has an extremely informative website if you'd like to read more. Potential purchasers are given an option to stay on the farm to see which sheep suit which has me day-dreaming again of being a farmer, see my earlier article: Dreams of an alpaca farm One day perhaps! 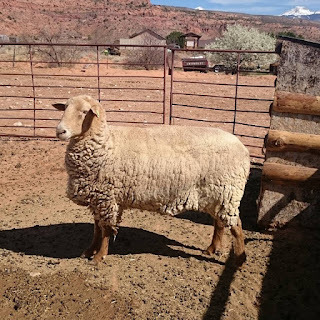 I've put a few more photos on a Cunnington Farms Sheep Pinterest Board if you want to see more sheep. Eek did I post this or not?? We had sheep in our field yesterday!sadly not for their wool. Yes - the main product of sheep is their meat. I bet you enjoyed seeing them in your field while they were there though mum. Thank you Helen. I have so much to learn about sheep! !